Over the decades Harris Tweed has been embraced by the world. From royalty and landed gentry to Hollywood icons and the finest designers of couture, this unique cloth, produced by the skilled craftsmen and women of the Outer Hebrides, has become an iconic must have in wardrobes, on catwalks and in homes worldwide. 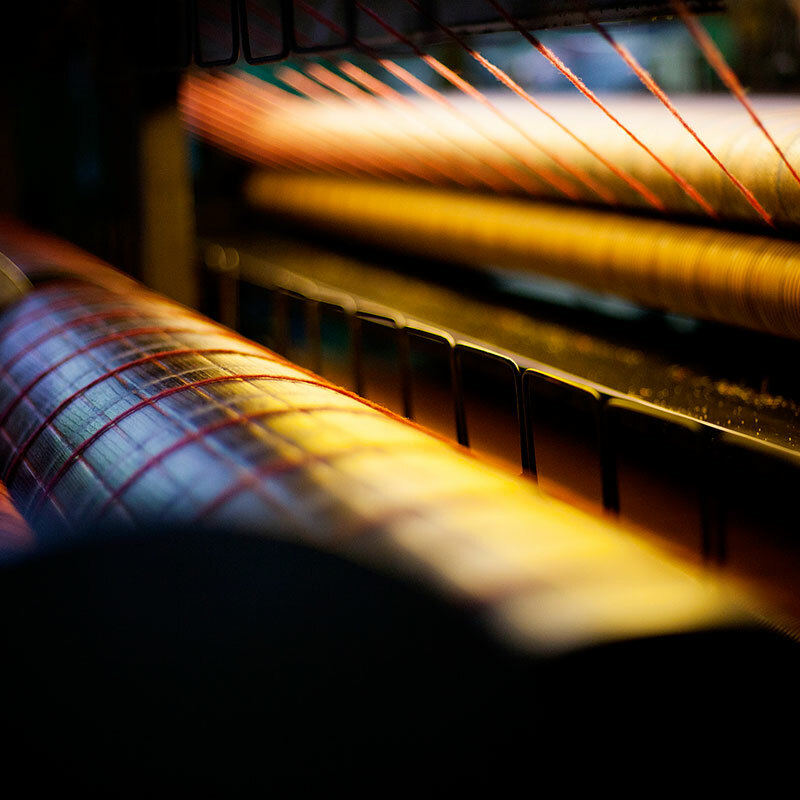 To modernise, the industry began using new double width looms, re-trained its weavers, introduced new, tougher quality standards and marketed a new wider, softer and lighter tweed. This led to the Harris Tweed Authority taking over from the Harris Tweed Association in 1993 by Act of Parliament, whereby the definition of Harris Tweed became statutory, and forever tied the cloth to Scotland’s Islands. 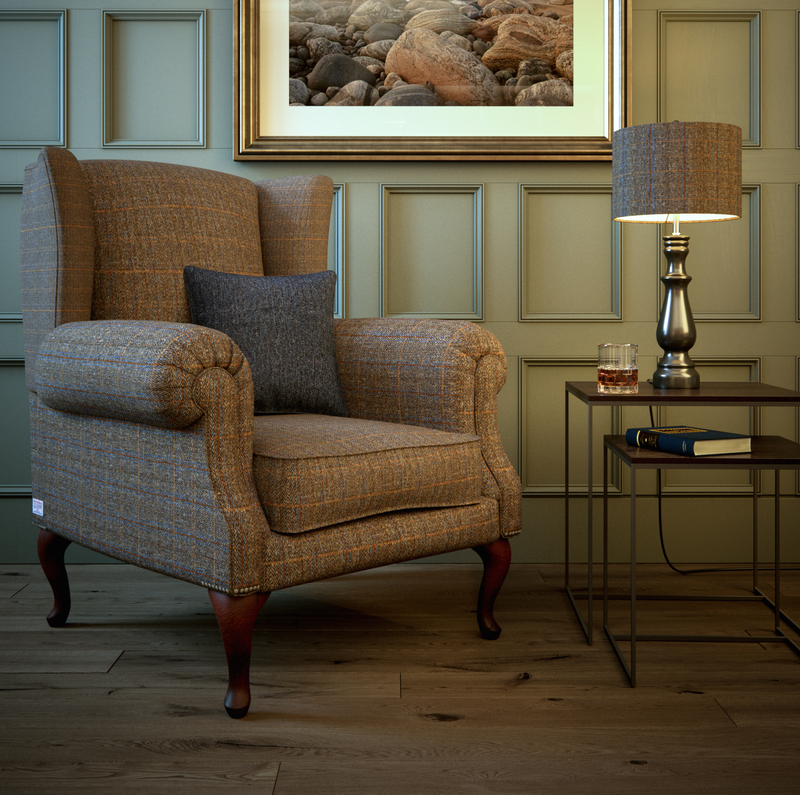 Harris Tweed embodies everything we associate with the rugged landscape of Scotland’s unique Hebridean Islands. Vibrant heathers, subtle mosses, wild lochs, moody mountains and impressive skies are all entwined in the DNA of our beautiful Harris Tweed. Made using unique skills from a place of unwavering heritage and identity, Harris Tweed has become not just the cloth of quality, strength and endurance but of luxurious style, versatility and unique beauty. Made of 100% pure new wool, Harris Tweed is dyed, blended, carded, spun, warped, woven, finished, examined and stamped only in the Scottish Outer Hebrides by local crofters and artisans. Warm in winter and cool in summer, this robust cloth is not only water resistant but extremely hard wearing. As a cloth that only gets better with age, Harris Tweed will become a valuable investment both in terms of quality and style, for decades to come. The rare character and beauty of Harris Tweed is attributable to the fact that it is the only fabric produced in commercial quantities by truly traditional methods anywhere in the world. Uniquely, the wool is dyed before being spun, enabling weavers to blend a multitude of colours into their yarn. 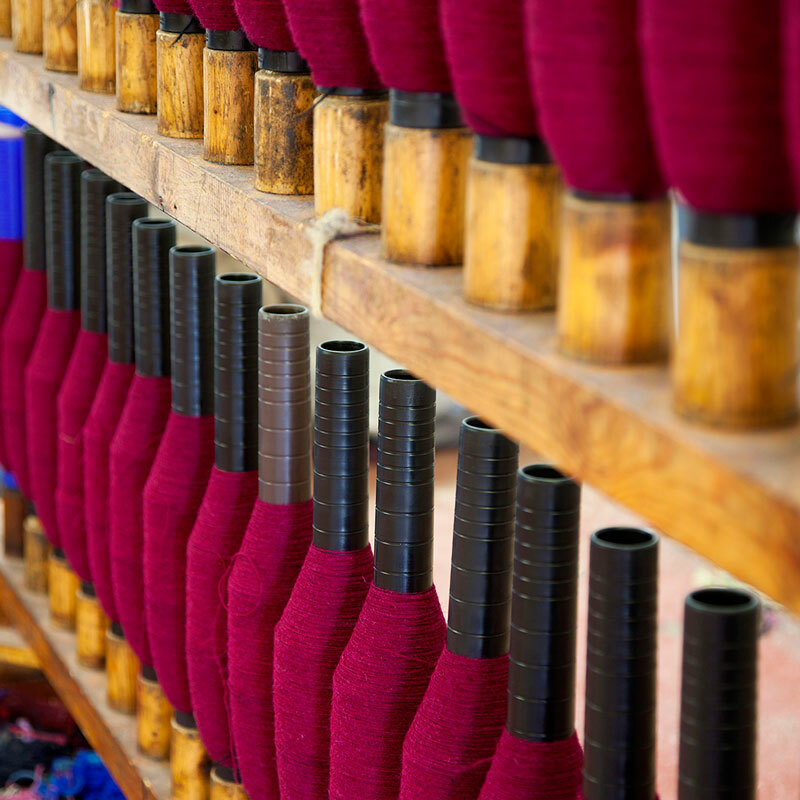 With each thread containing a myriad of different colours, a cloth of great depth and complexity is produced revealing the true nature of Harris Tweed. Soft, tactile, breathable, warm, colourful, sustainable and versatile, Harris Tweed has moved away from the old image of coarse, scratchy, dour tweed to a cloth of handcrafted unique beauty, luxury and style. 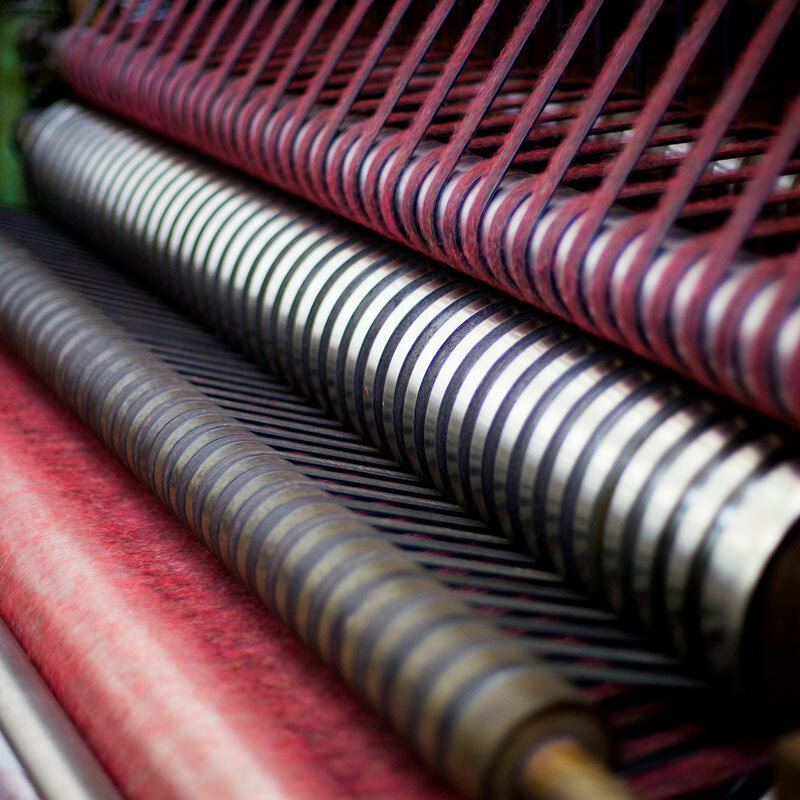 Low-impact production and reliance on natural materials makes Harris Tweed a truly ecologically sound textile. Biodegradable, VOC absorbent, non-allergenic and energy efficient manufacturing gives Harris Tweed its rightful place as a 21st Century fabric. 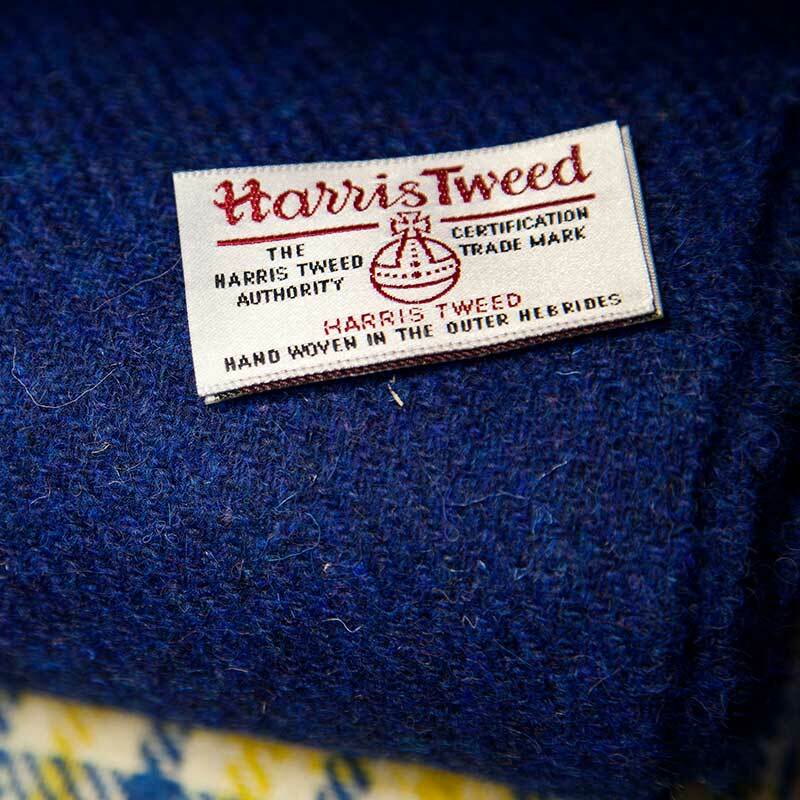 Woven with such love and care passed on through centuries of skill and dedication, Harris Tweed brings a real sense of natural heritage and true quality into your everyday living. Crafted at the heart of Scotland’s stunning Western Isles, it’s no wonder Harris Tweed designs have a natural style that transcends generations, to create such a timeless pleasure. This definition is protected and authenticated by the Harris Tweed Authority through an Act of Parliament in 1993 and has the power to prevent the sale of any material labelled as Harris Tweed, which does not fall within this definition. Today, every 50 metres of genuine Harris Tweed is checked by an inspector from the Harris Tweed Authority, before being stamped by hand with the orb symbol. Only genuine Harris Tweed will carry the orb trademark and this iconic trademark, means your cloth is handcrafted to extol all the qualities and virtues, of a truly luxury 21st century fabric. 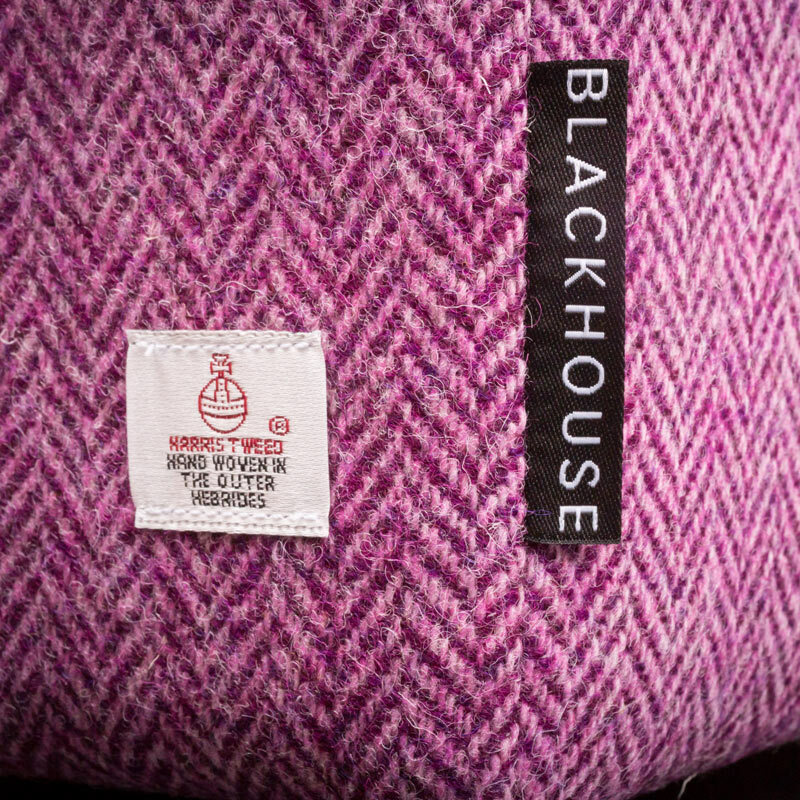 At Blackhouse, we invest in protecting our Harris Tweed fabrics, so your furniture will not only look and feel at its best but will last you a lifetime. Each bespoke piece is Teflon™ coated to protect against stains, spills, soiling and fading without impacting upon the breathability, performance, comfort and style of your Harris Tweed. Any liquids spilled will simply bead up and roll off the fabric with any residue being easily wiped away, whilst soil or mud, once dry, can be brushed off very easily without damaging the fabric. While protecting against dust, soil and stains, our Teflon™ coating also reduces the risk of fading by creating a barrier to UV rays and is fire resistant giving you complete peace of mind. Our medium weight Harris Tweed Fabric combined with our Teflon™ coating means you can enjoy everyday living in luxurious comfort and style. 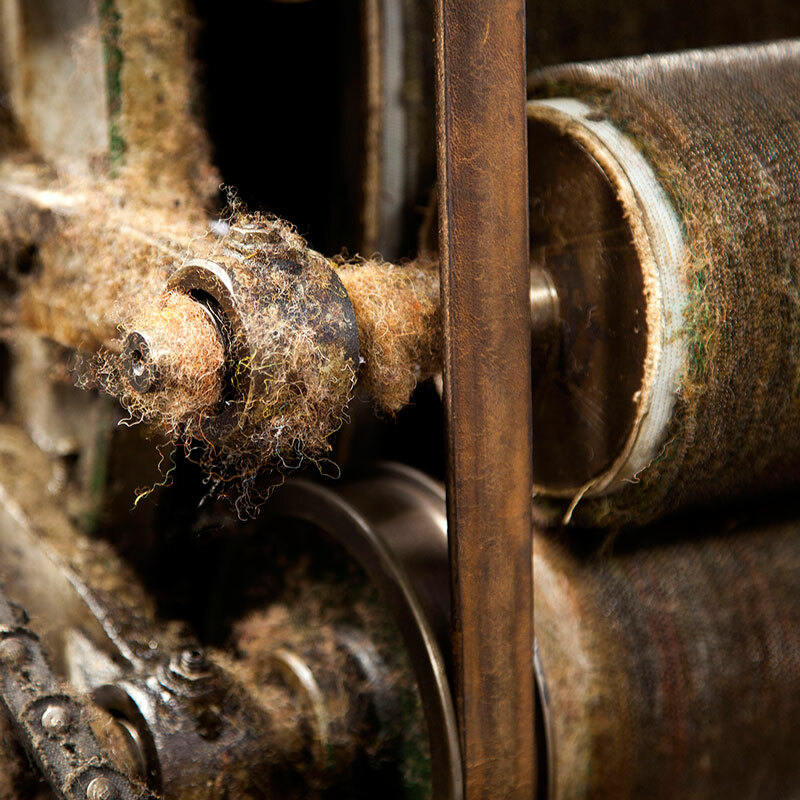 Each inch of wool is dyed and spun in an island mill and every yard is hand-woven in the home of a Harris Tweed weaver. 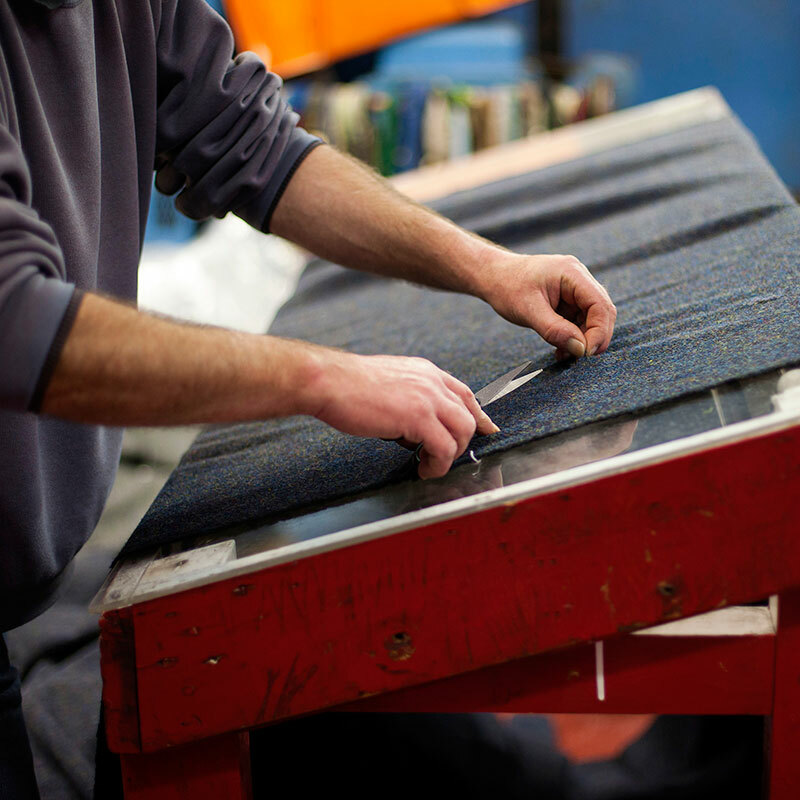 These skills are proudly passed down from generation to generation where the Harris Tweed legacy lives on.